A stepping stone for many big names in Motorsport including Lewis Hamilton and Jenson Button, Go Karting provides young wannabe Formula One drivers with the perfect chance to learn all the skills needed to excel as a professional driver. With an abundance of Go Karting tracks located across the United Kingdom and Ireland, Karters will be able to ply their trade on state of the art tracks that closely replicate Formula One circuits. Taking control of a nimble kart, the individual will learn how to control their speed, how to tackle corners, the skill of overtaking and driving wheel to wheel. As well as being the foundation for tailor-made petrol-heads looking to get into professional Karting and Formula One driving, Go-Karting is an extremely fun and popular event amongst groups. 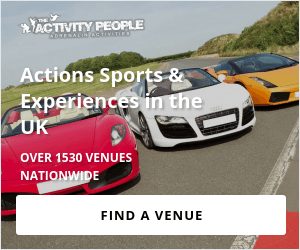 Its adrenaline-fuelled nature and pure-simplicity makes it the ideal activity for birthday parties, stag/hen do’s or even corporate events as you aim to prove that you are in fact the best driver in the office!